I haven’t been in black tie in ages (at least a week!) so I was thrilled to suit up in my Thom Browne dinner jacket and Uber to The Bowery Hotel for the VHL Alliance New York Gala. My super-fabulous friend Flavia Masson (stunning in J Mendel) MC-ed the event, which raised awareness and money for VHL, a genetic form of cancer. Flavia introduced the speakers and explained that eradicating VHL is vital in finding a cure for cancer. Manuel Greco, who created the VHL Gala, spoke at the event, as did Roberta Mancino, a celebrity skydiver and model who flew to New York from Italy for the night. Willem Dafoe is off shooting a movie currently, so he sent a video message and everyone applauded madly for the evening’s heroic honoree, Dr. Eric Jonasch. After dinner, there was an auction led by Aileen Agopian of Sotheby’s. Lots of dough was raised by generous guests like my tablemate Ed Scheetz, who owns all the cool new hotels like The McCarren in Williamsburg and the upcoming re-launch of The Chelsea Hotel. I sat next to beautiful model/activist/writer Shaina Danziger, whose mother, Laura Lehmann (of Lehmann Maupin Gallery) was nearby. Also there: Cristina Civetta, Vandana Jain, Bree Condon, handsome Nicolo Foscari, and Antony Todd who did the flowers and decorations (and is opening a new store in Los Angeles this spring). One of the speakers at the VHL Gala stressed how important exercise is. So I Uber-ed to the one year anniversary of The Gilded Lily to dance off dinner. 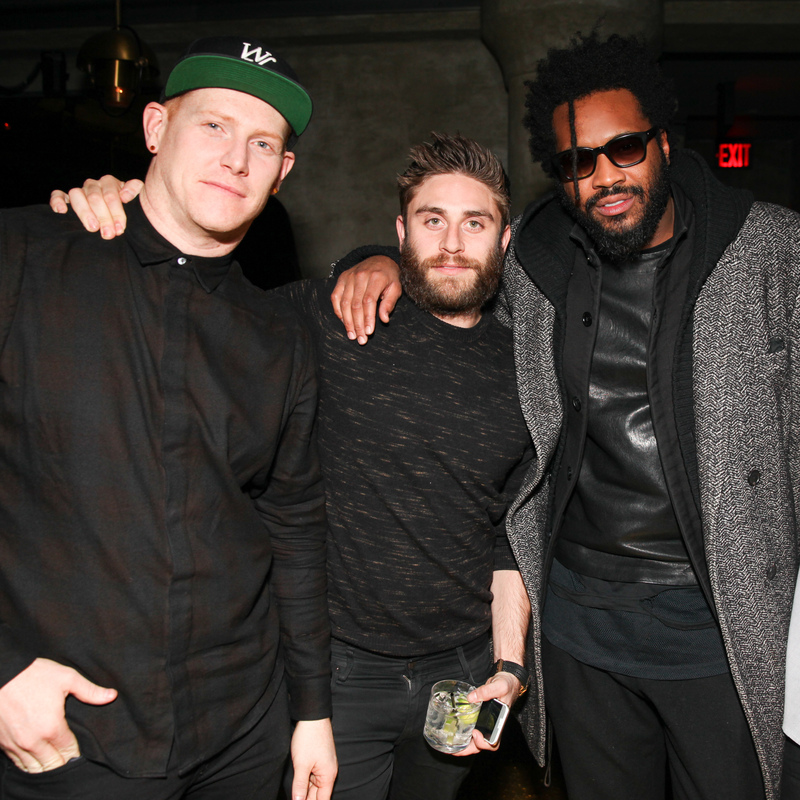 Opened by Lisle Richards and Eric Marx in February 2014, the club has already hosted parties for Alexander Wang and Public School. Ronan & Williams designed the cavernous space so it’s super sleek; think gold and snakeskin and a giant LED chandelier. When hotelier and Studio 54 legend Ian Schrager saw the room, he exclaimed “You have a hit on your hands.” Tons of people hit the birthday bash (FYI: one year in nightlife years is equal to a decade). I spotted Maxwell Osborne of Public School, EJ Johnson, Laura De Gunzburg, artist Matt Starr, photographer Kirill, DJ Cassidy, and Elle Dee. Funk Master Flex made a surprise appearance, and Cam’ron rapped from the DJ booth. The Gilded Lily will be hosting lots of Fashion Week parties this season, so I’m sure I’ll see you there. Cheers, Lisle and Eric! NYC nightlife is about staying out late. I mean, this isn’t Los Angeles. And now Happy Ending is keeping their kitchen open until 2 a.m. I adore a late dinner at Happy Ending before I slip downstairs to socialize with all the pretty peeps that are regulars. Do drop by for some din din…after midnight.